For eighteen-year-old Aziza, dressing up was always a matter of joy. However, as a daughter of a school teacher, in a family of twelve, financial resources were always limited. But even in adversity she fashioned herself the best she could, sometimes stitching her own clothes the way she wanted. “Even as a child, I dreamed of being a successful fashion designer,” Aziza shares. When Zardozi started a manbeh (business centre) in her village neighbourhood, Azizi was only 16 years old. The minimum age bar to enrol into a Zardoziprogramme is 18 years, but Aziza was determined to get herself in. And so she urged the Zardozi members to allow her to be part of the team. “This was my opportunity to realise my dreams. I had to be a part of Zardozi,” she explains. Impressed by her intent and resolve, Aziza was enrolled into the tailoring and business management programme on the condition that she was continue her formal education alongside her skill training. In less than two years, Aziza, who is currently in the 11th grade, has now established a small workshop in her neighbourhood that employs 10 other women, mostly producing school uniforms and some other garments. All the women who work for her are much older than she is, and yet she continues to remain their source of inspiration and their teacher. “Perhaps my biggest compliment comes from the women who work for me; to watch them grow into confident and financially independent women,” shares the young prodigy, exhibiting a wisdom far beyond her age. But what Aziza dreamed of was to be more than just a tailor. She wanted to be a designer; create outfits that were eye-catching and beautiful. “When I learned about bead-working, I realised this could be my opportunity to expand into creating beautifully designed outfits,” she shares. 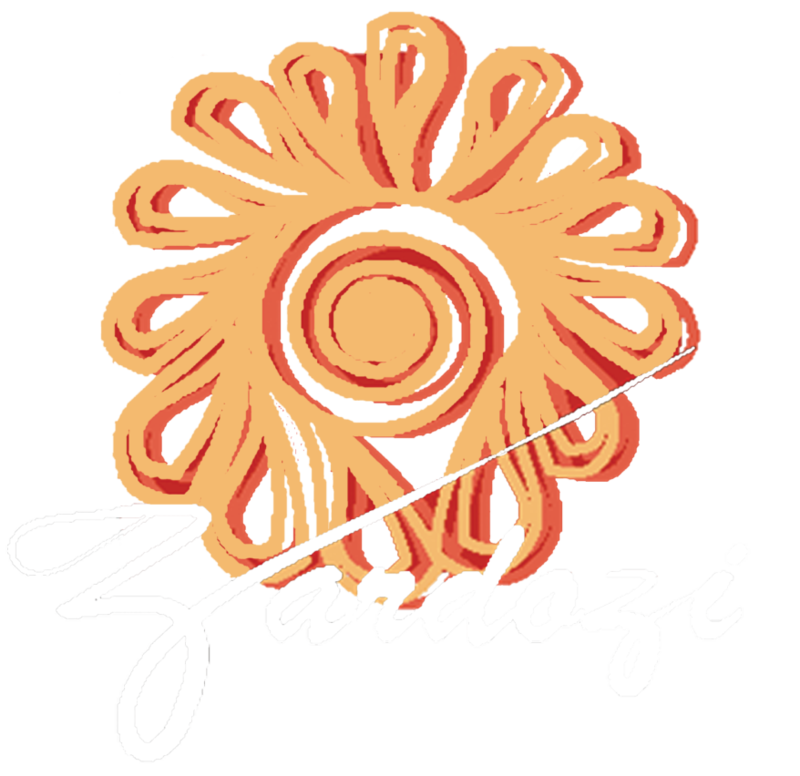 With the help of Zardozi, Aziza purchased a secondhand machine for bead-working and trained her workers in the task as well. In their workshop, they enhanced brightly coloured fabrics with intricate designs made out of glitter beads in many spectacular patterns. At first, she only received a few orders from neighbourhood families to design bridal clothes for weddings and parties. And even with lesser work, Aziza did make more money in bead-working than she did with her regular orders. “This one time, I enhanced the borders and sleeves of a suit I made for a client with bead designs and immediately after I got a substantial order from women asking me to do the same for their clothes,” she recalls happily. But most of all, it gave her the creative freedom to beautify garments and explore fashion ideas that she’s had for a long time. “I want to build on this; expand this business and make it my career,” shares Aziza, who also hopes to start her own line of fashion clothes someday. She even has a name picked out. “I will call it ‘Banoowan’ which, in Dari, means for women, as it will not only cater to women customers, but will also only employ women workers,” she explains with pride.